They say that your response to challenge in the face of extreme adversity defines you as a person. If trying to penetrate the most complex code breaking system ever made whilst thousands of your countrymen are dying every day does not qualify as the highest form of extreme adversity, I would be intrigued to see what does. It was on January 23rd, 1940 that saw one of the most significant moments in world history; largely shaping the world we live in today; the moment where a small team of British mathematicians and computer scientists, led by the slightly eccentric Alan Turing, broke the German encoding machine ‘Enigma’ to mark the beginning of the end of World War II. For those that aren’t familiar with Enigma, it was the German’s primary mode of communication, comprising of letters and words being coded through a complex cipher system; the result equating to 150 million possible combinations per day before being reset for the next day. The start of the festive period for many, naturally marks an appropriate opportunity to reflect upon the year; and for yours truly occasionally results in a glass of wine in front of the many films accumulated on the ‘to watch’ list throughout the year. Whilst this piece is a far cry from a history lesson, watching Mortem Tyldum’s fantastic adaptation ‘The Imitation Game’ (also written by Graham Moore) has certainly brought some thoughts to the surface. In re-telling the fascinating and powerful story behind Turing’s success, there are some poignant messages and parallels that can be seamlessly applied to the complex world of sports coaching that we exist and interact in. I’ve picked out five of the most prominent that might help to aid our reflections moving forward into 2017. Probably the best line and key message of the film is uttered by Turing himself (Benedict Cumberbatch) of “sometimes it’s the people no one imagines anything of who do the things that no one can imagine”. A stuttering, socially inept introvert to the point of rudeness, Turing would perhaps be the least likely person one might expect to change the fortunes of the world. That was certainly the opinion of Commander Alastair Denniston who despite employing Turing’s services to crack Enigma, held strong doubts that such a feat could ever be accomplished. He made his mind up about Turing almost immediately – as it happened Turing was a genius; possessing a brilliant mind to design a machine intended to accelerate the ciphering process that had previously been attempted by hand. Have you ever seen a player that immediately stood out from the crowd? Most of us have I would have thought; whether it was through their abnormally high skill level, shrewd tactical expertise, pure natural athleticism or perhaps a combination of the three at such a young age. They are not normal. They stand out for all the right reasons and thus they generate considerable excitement with how they can elevate your team and coaching credentials to even greater things. What about those players that don’t initially appear exciting? What if they don’t appear to have a great skill level? More often than not, they are mentally noted in our heads as ones not to get excited about and are subsequently pigeon-holed and cast aside in the pursuit of others. Whilst Alan Turing was the main figure behind the breaking of Enigma, he was helped along the way by some of the smartest brains around Britain. This was, largely, in part down to Turing’s unorthodox recruitment process consisting of candidates solving a set of crossword puzzles under a time limit. Turing knew he was smart; what he wanted to find out was who was similar or smarter than him. When Joan Clarke (Keira Knightley) entered the exam room, the first officer laughed and refused her entry on the premise of her gender. Turing however, allowed her sit the test and in less than five minutes was rewarded with Clarke finishing the puzzle first, and in less time than Turing himself. Here was the key – the Lionel Messi of code-breaking and problem-solving; Clarke was a rare talent and would thus be pivotal in helping break the German’s code. Power is an interesting concept within coaching literature. Exchange theory (Blau, 1964) suggests that interactions are complex structures of association, in that people engage in relationships in the recognition that they will gain something from them. According to this then, much of our coaching behaviours are a series of calculative and strategic endeavours. Knowing that Clarke was a key member of the team, Turing went above and beyond to ensure she was comfortable having moved away from home, to the extent that he proposed to marry her in an effort put her parents’ concerns at ease. Whilst we may not openly admit it, we as coaches can be found guilty of having favourites. We treat some players differently to others; allowing some more freedom, giving some more of our time, providing some more opportunities. Is this wrong of us? Shouldn’t we be treating everyone the same? In today’s society a parent or onlooker could easily tarnish us for being inconsistent, citing an obligation to provide equal opportunities for all. But if Alan Turing was to marry every member of his team that was pivotal to the breaking of Enigma then society would most definitely have a problem! A key to good coaching is recognising your gold star player/s and understanding that whilst they are not above anyone else, they might on occasion, require a different management style. For if you keep them on side, they have to capacity to raise everybody else in the team and provide the group with a success that on their own they would not be capable of achieving. It might mean you go that extra little mile for them in the knowledge that your return on that investment will reap the dividends. It’s all well and good finding the key to your team, but it has little effect when there is no door to open. For Turing, who alongside Clarke represented the key to the team of mathematicians deciphering Enigma almost blew the opportunity to win the war from the outset. As has already been mentioned Turing was bereft of social skills, preferring instead to seclude himself from his team without communicating his work thus allowing mistrust, doubt and animosity towards him grow. With advice from Clarke however, Turing started to make attempts to interact with his team through small gestures to show that he was trying. Indeed, when an angry and frustrated Commander Denniston demanded an update and progress on the project, Turing’s work was almost decommissioned on the spot for not producing any results. It was only through the communal support of his team, who recognised the potency of Turing’s machine that prevented it. It shouldn’t be the case but inevitably coaching at the higher levels is a close fraternisation with time; how much time until you produce results. Being able to build strong relationships with stakeholders, players and support staff can be hugely significant in buying you enough time to produce the desired outcome. 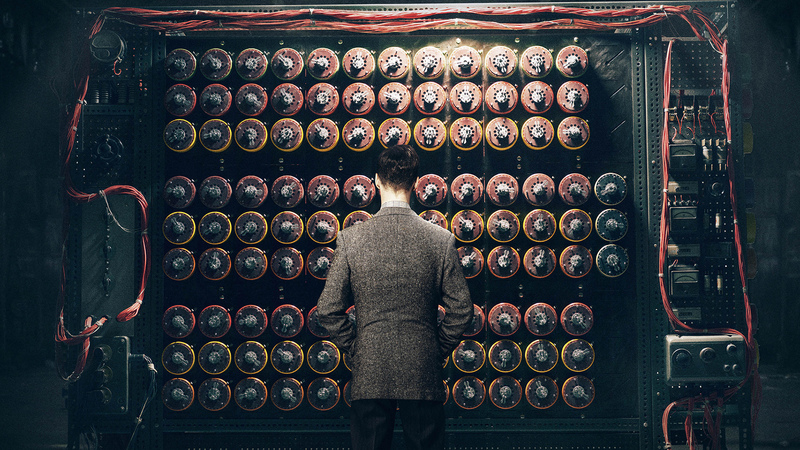 That pivotal day on January 23rd when Turing broke Enigma for the first time was monumental. Oddly enough though, breaking the seemingly impossible code was just the easy part. His team’s reaction, in amongst sheer jubilation, was to set about relaying the German’s military formations back to the British military command. Turing however wasn’t about to let two years of hard work become insignificant; he knew that any action taken by the army based on their intelligence from Enigma would convey to the Germans that they had broken Enigma. If that happened, they would alter Enigma’s settings (in effect change their communication method) and render their discovery useless. Instead, Turing and his team worked discreetly with the government to limit the number of major attacks on British forces by providing an alias story to explain how they knew what was going on. All the while the war raged on, unbeknown to most that in effect it had already been won. The hard part was slowly breaking down the Germans over time using the information from Enigma to stay one step ahead. How many of us would have followed our first instinct to take immediate action? How many of us would look to secure that quick win to beat away the critics? How many of us would have the foresight to see the bigger picture? It’s an interesting debate and one we will never know the answer to, but the lesson we can learn is an important one – keep your cards close to your chest and always try and stay one step ahead of the game. Whether it’s spotting something in your environment and ensuring it doesn’t have the opportunity to grow and become a real problem, or whether it’s a case of gathering some more examples of behaviours before you decide to present a case. Someone once told me that slow is smooth and smooth is fast and it rings true here. Even if it takes longer than you’d hoped to solve, logic and careful thought is a far better solution than haste and indecisiveness. Have you got any players that are good at criticising and moaning about what they have? Whether it’s that they’re not playing enough, someone else was at fault or that they have to pay too much for what they get? Of course, very little is heard about what they offer to the group! Unfortunately large parts of society today are guilty of this, none more so than students and young athletes with a disturbing level of consumerist tendencies. They forget that facilities and equipment cost a lot to hire, that people often go out of their way (often voluntarily or at very little cost) to provide them with opportunities to develop. They forget the administration, logistics, planning and bureaucracies that go on behind the scenes to their advantage. They forget a lot of things. I might be sounding like I’m speaking from experience here, and to a point I am. But largely, it was society’s treatment of Alan Turing that really struck me. Despite his work that saved over 14 million lives and changed the world, Turing was driven to his suicide by society who deemed that homosexuality was a crime and should face prison. Whilst prison was avoided, it is believed his alternative of chemical castration drove him to his action. Whilst Queen Elizabeth II granted him an official pardon and apology in 2009 for his treatment, Turing’s treatment is something for us today to take heed of as the festive season approaches. Appreciate what we have – the opportunities, the freedoms, the privileges, the differences, obscurities and complexities. Ensure your players appreciate what they have when they turn up to a session, with their football boots or cricket kit or tennis racket. For whilst nothing will always be perfect, it is a whole lot better than what a large majority have in the world. Next A Life Away: Does Top Level Coaching Have a ‘Sell by Date’?